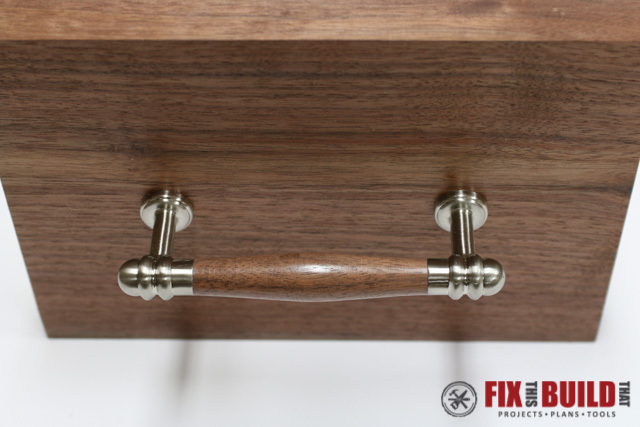 I’m in the process of building a sideboard and today I’m going to show you how to make custom wooden drawer pulls for the cabinet! 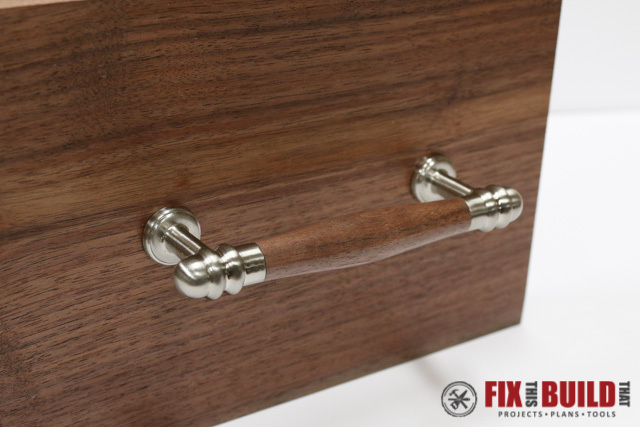 Custom pulls really set off a piece of furniture and can transform the entire look of the project. 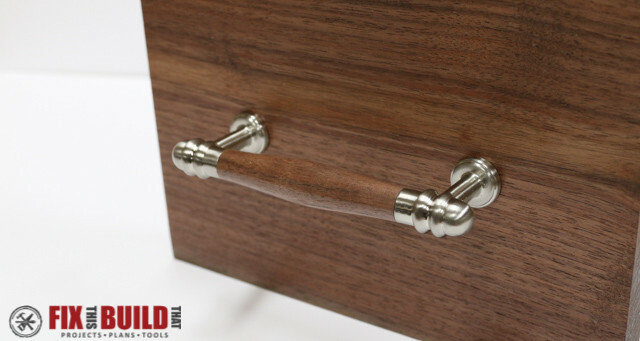 These pulls will used on the drawers of my sideboard build and add a custom touch to the project. I’m going to walk you through the whole process and show you how you can make your own pulls too! 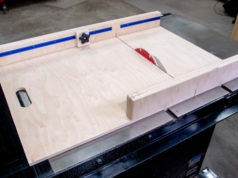 I’ll be using the new Rockler Custom Turning Pull Kit in this project. 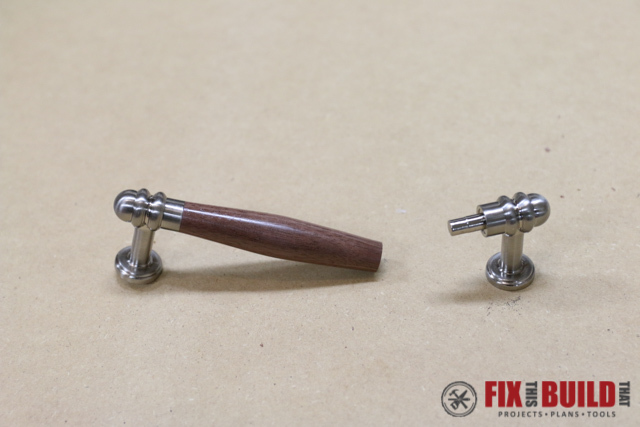 I recently did a post on turning some door knobs from a similar kit. If you want to see how I made them go check out the post from last week. The process is a little different for each of them, so be sure to check them both out. 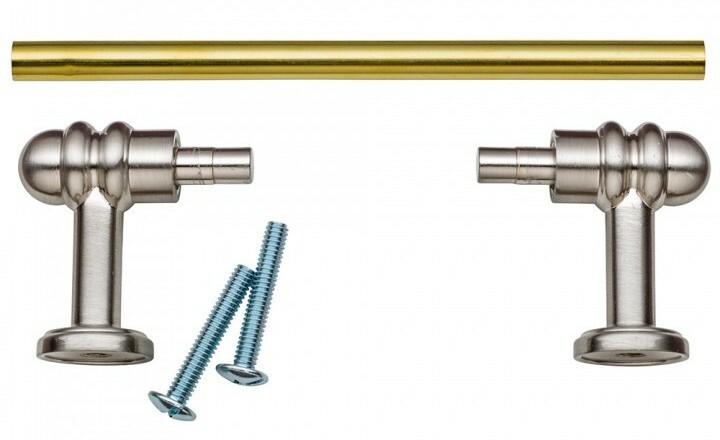 The pull kit is the metal hardware needed for the pull along with mounting screws. It comes in a traditional and a modern style. The traditional style kit is ornate with some curves and embellishments. And the modern style kit is very clean and straight. This setup is very similar to turning a pen, so if you’ve done one you can easily do the other. 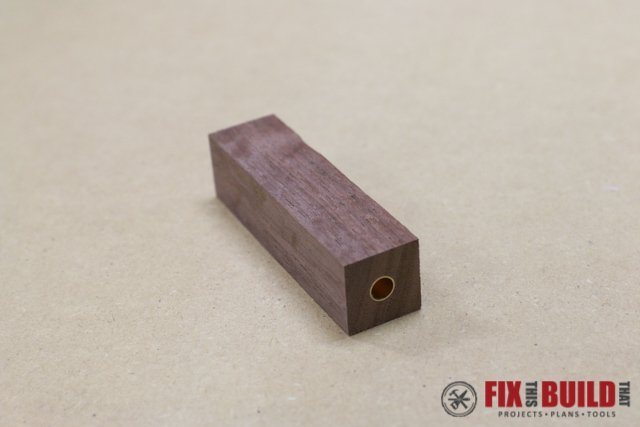 Each pull kit will need one wood blank sized to your desired shape and length. 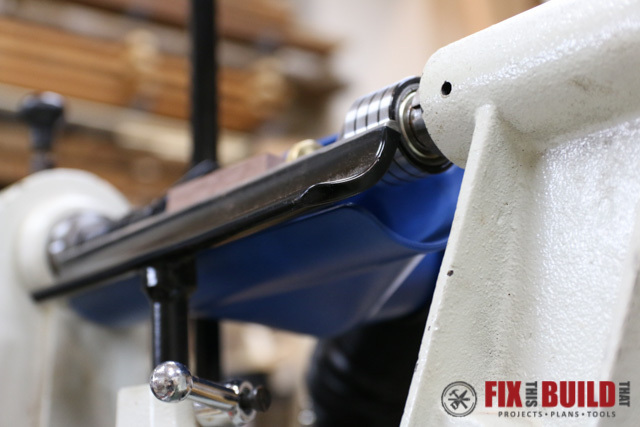 The longest you can make the blank is 5-1/8″ due to the brass rod and the posts will add 1″ to the mounting length of the pull. 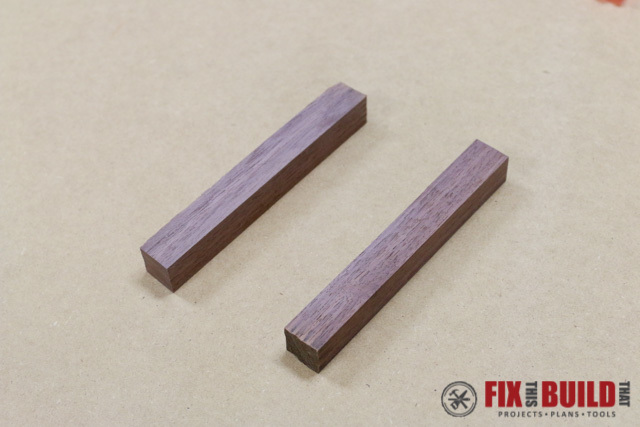 I cut a piece of walnut from the top of my sideboard build and made two 5″ blanks that were 3/4″ x 3/4″. It will have a perfect match since it’s from the same piece of wood. 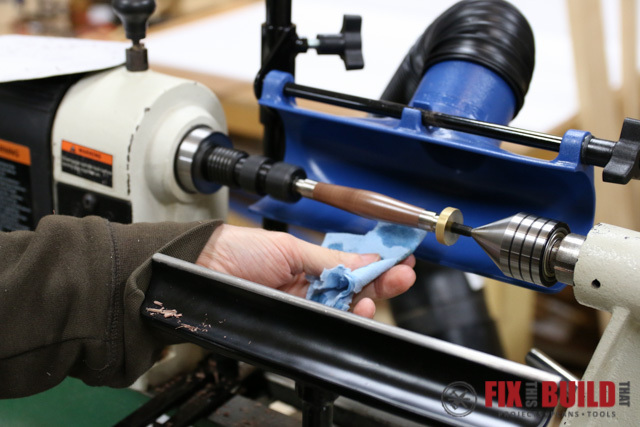 You need to drill a 10mm hole through the center of your blank to insert the brass tube. 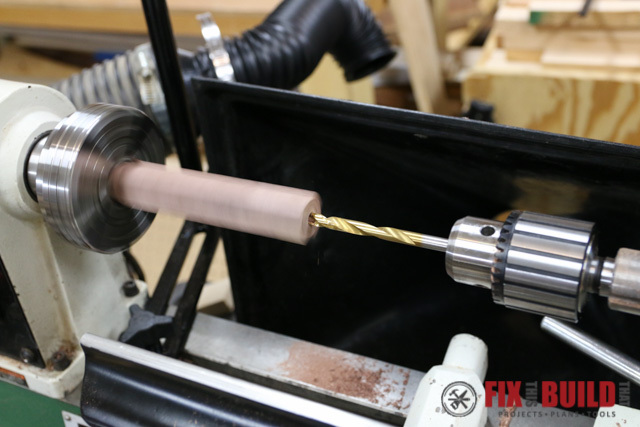 My drill press has a quill travel of less than 3″, so I needed to do this on the lathe. I mounted my Nova Precision Midi Chuck on the headstock to hold the blank in place. I really should have used some spigot or pen jaws for this, but I don’t have any so I made due with the inner jaws of the chuck. I had to trim the corners off the end of the blank to get it to fit into the inner opening, and then tightened the blank in and centered it the best I could. 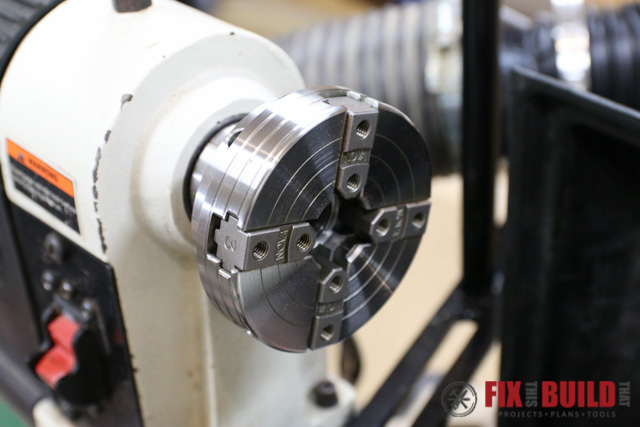 Mount a Jacobs chuck in your tailstock and install your 10mm drill bit in the Jacobs chuck. 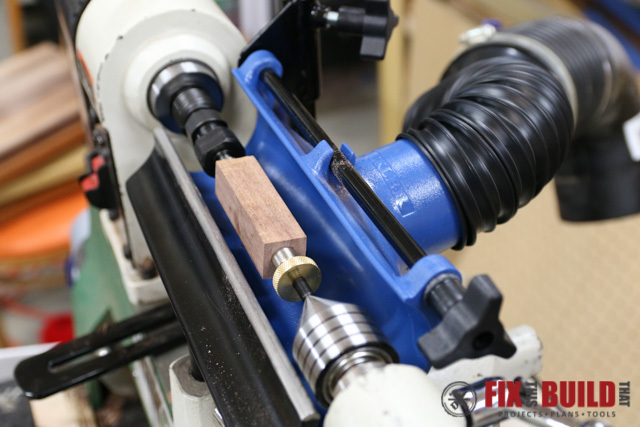 With the lathe at a slow speed, advance the bit into the blank using the crank on your tailstock. 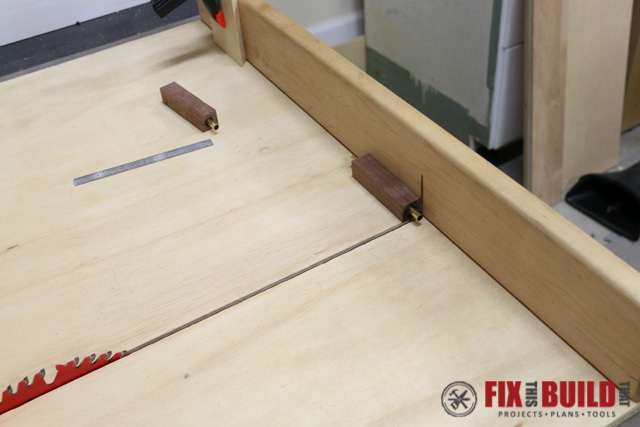 I drilled the holes 3-1/2″ deep, which was as long as my drill bit would allow. 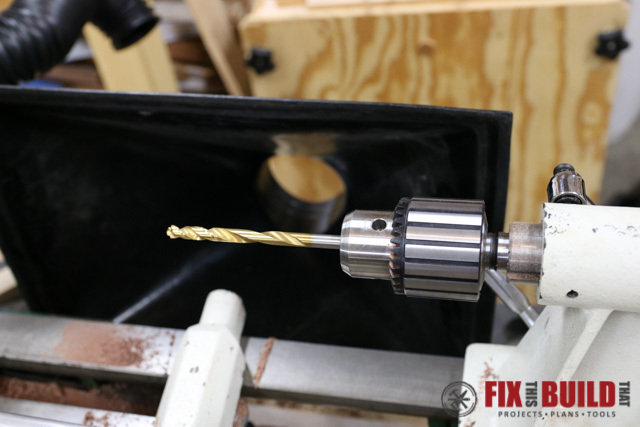 There are specialized drill bits for drilling these holes which allow you to go much deeper, but again I didn’t have one so I made due. 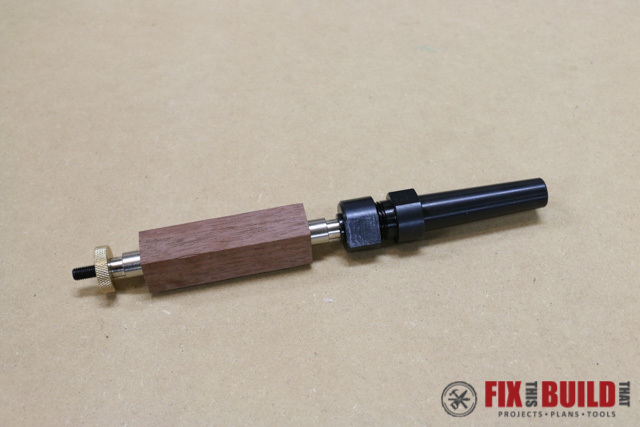 Remove the blank from the midi chuck and then cut the blanks to rough size. I cut mine at 3-1/2″, the depth I drill the holes. 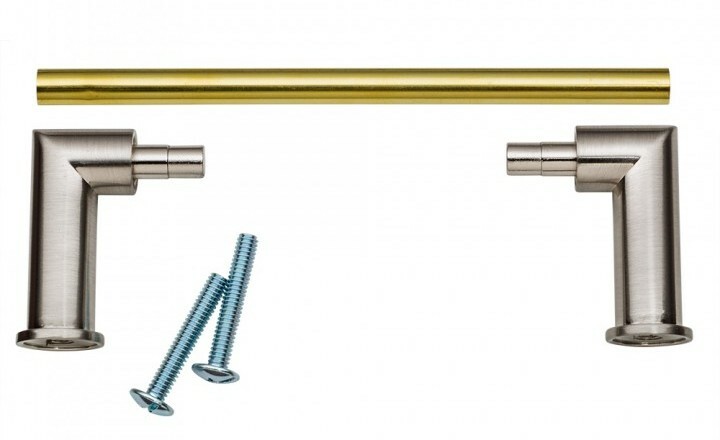 Next you will glue in the brass tubes included with the kit. I used a thick super glue and it worked great. Rough the tubes up with some sandpaper to help with glue adhesion. 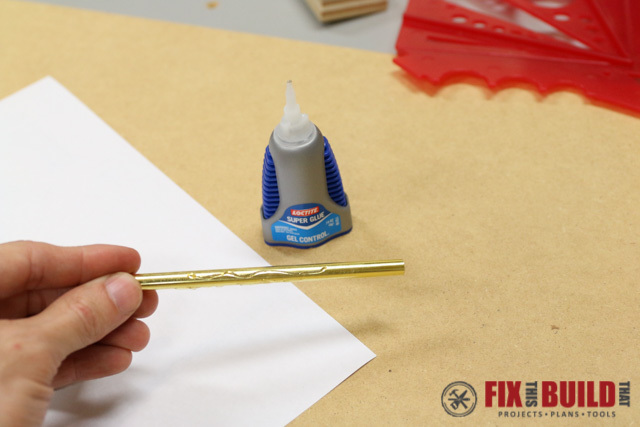 The tubes will extend out either side of the blank and will be trimmed after the glue is dry. Cut the blanks down to their final length. 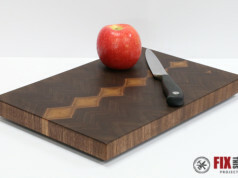 I used my cross cut sled to cut them to 3″ long. 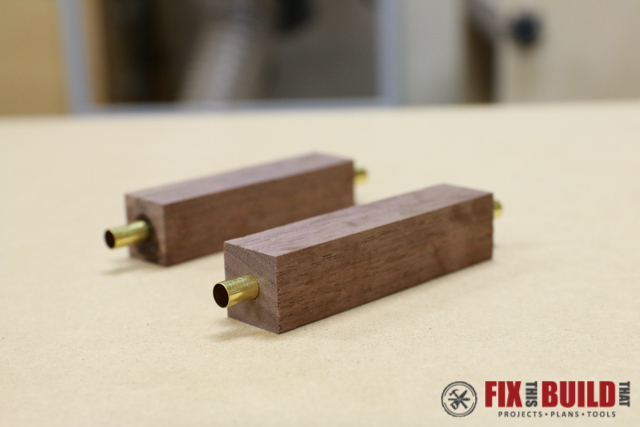 Your cabinet pull blanks are now ready to turn! You will need two special pieces of equipment to turn the blanks. 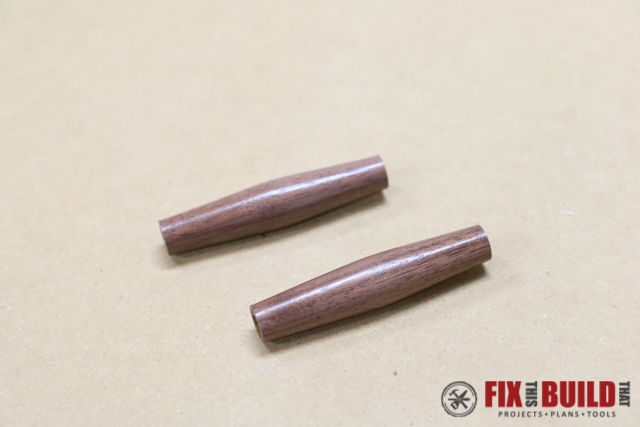 A pair of bushings specifically made for these pulls are mounted on a pen mandrel to hold the blank. Install one bushing on the mandrel followed by the blank and the other bushing. 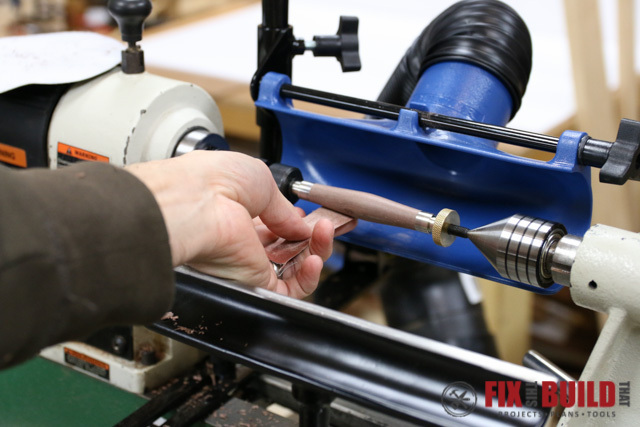 Tighten down the brass knurled wheel to keep the blank from spinning on the mandrel. 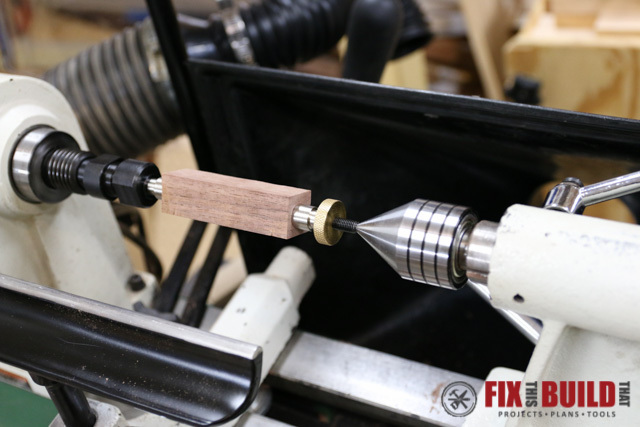 Mount the mandrel in the headstock and support the end by engaging a live center on the other end of the mandrel. Tighten everything down to begin turning. 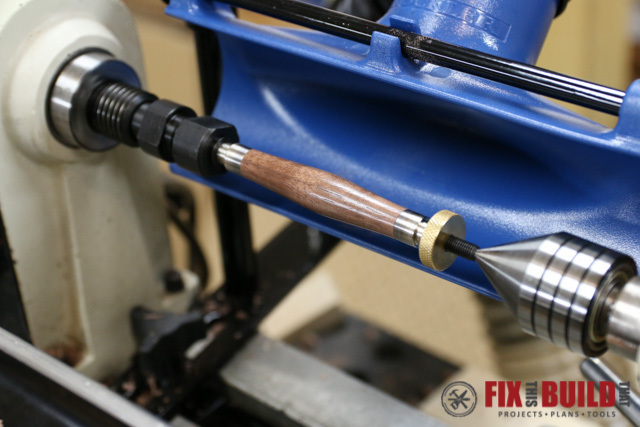 I use the Rockler carbide turning tools for my turning and they are such a breeze to work with. 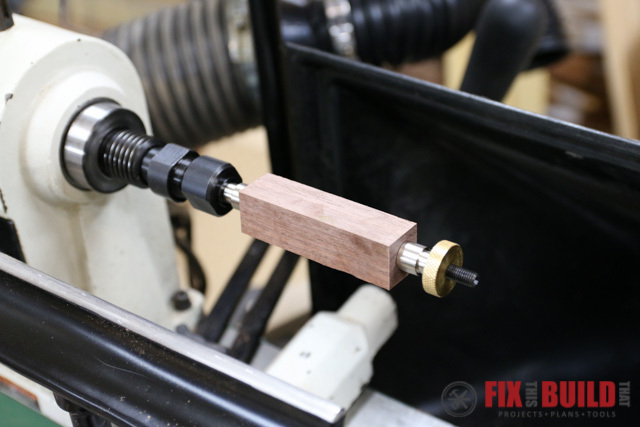 No “riding the bevel”, just present the tool perpendicular to the blank and go to town. 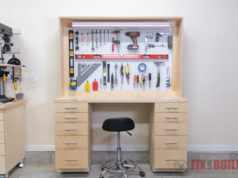 Before I started turning, I installed the new Rockler Lathe Dust Right Collection System. I installs right on the bed of the lathe and you can position it right where you need it. 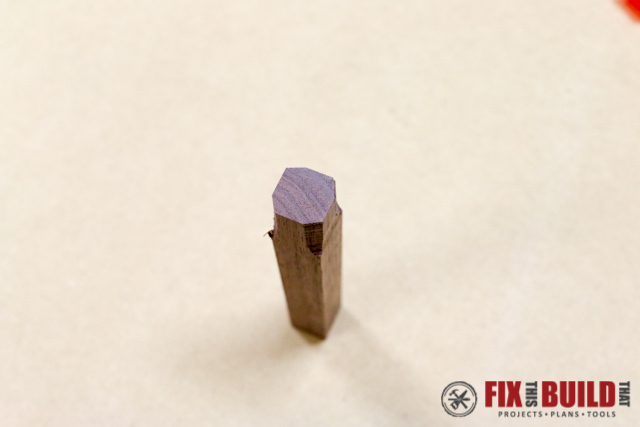 It’s perfect for small blanks like this and even better as you get to the sanding portion. 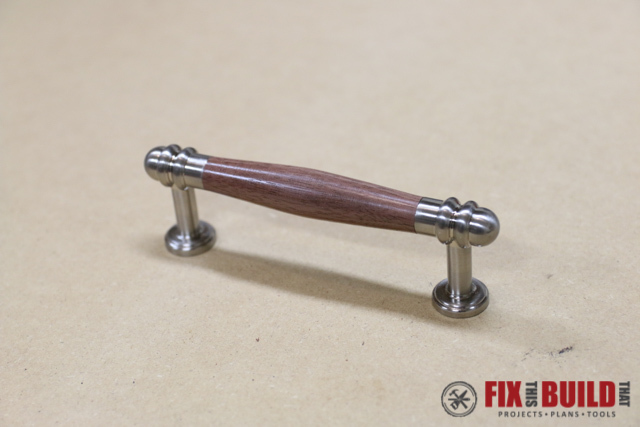 I wanted a classic “rolling pin” shape on my pulls so I used the square radius tool to make the blank cylindrical. Then I rough shaped one side first and then the other. Then worked towards final size with the round tool. 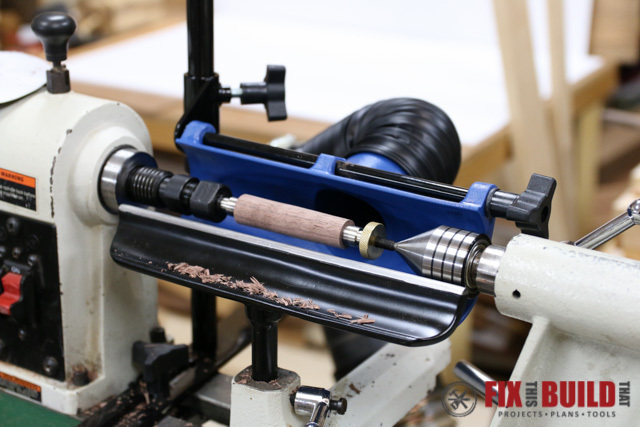 When you turn the blank, your goal is to make the ends the same size as the bushings on the mandrel. 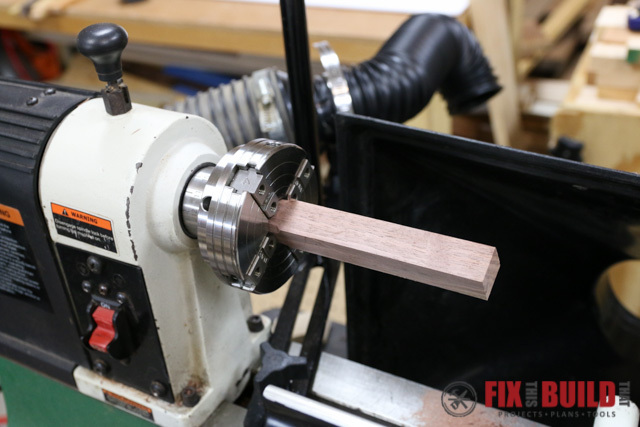 This will give a clean and flush transition from the wood to the metal portion of the pull. 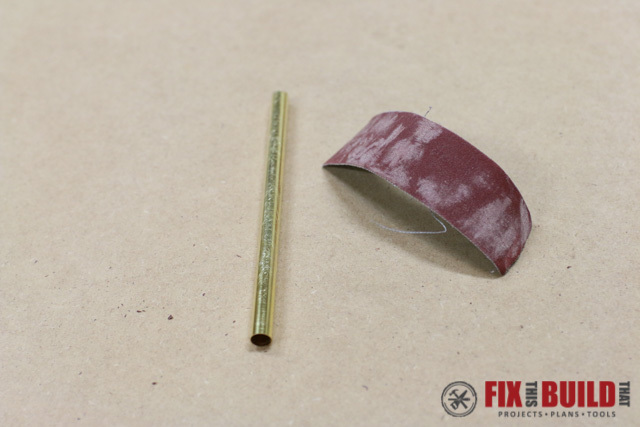 Use 150 grit sandpaper to do the final sizing at the ends. After the shape is locked in, sand in grit order of 150, 240, 320, 400, 600 and then apply your finish. 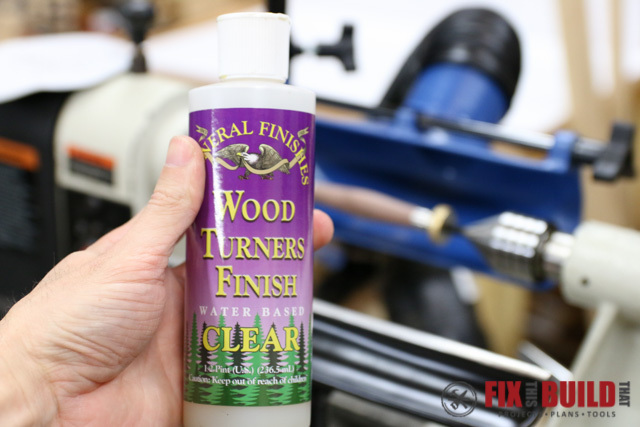 I used general finishes wood turner’s finish and sanded between coats with 1500 grit and applied 5 or 6 coats. Repeat the same process on the next blank, using the first one to replicate dimensions. 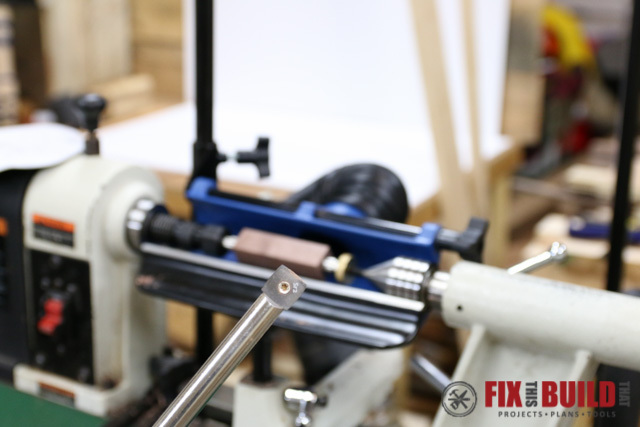 Remove the blank from the mandrel and assemble the pull by pressing in the metal sides to the brass tube. It says to use a clamp to assist you, but I was able to do it by hand pretty easily. 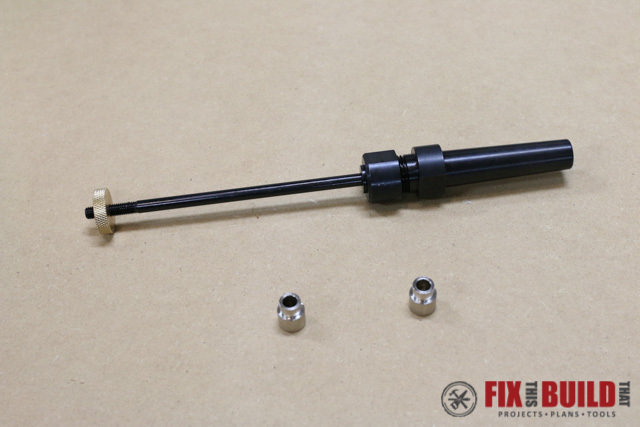 To mount the pulls you will need a mounting distance of 1″ longer than the wooden section. 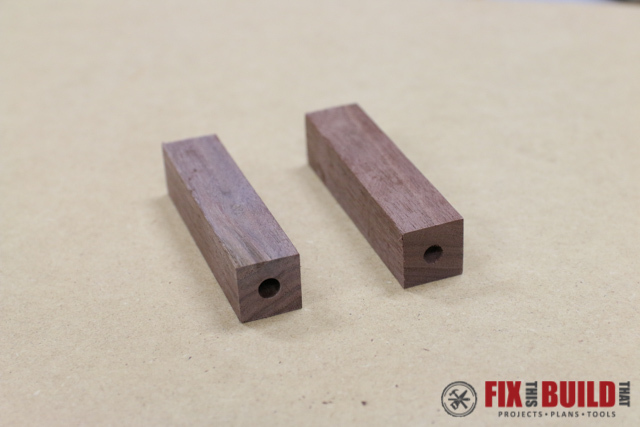 My blanks were 3″ so I measured for 4″ between holes. 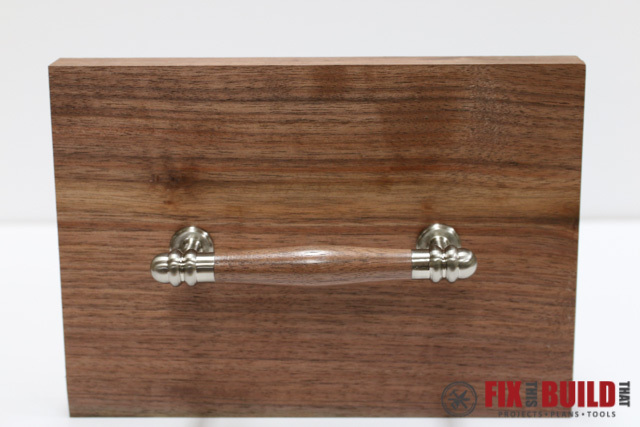 Drill your holes with a 5/16″ bit and install the pulls with the included screws. 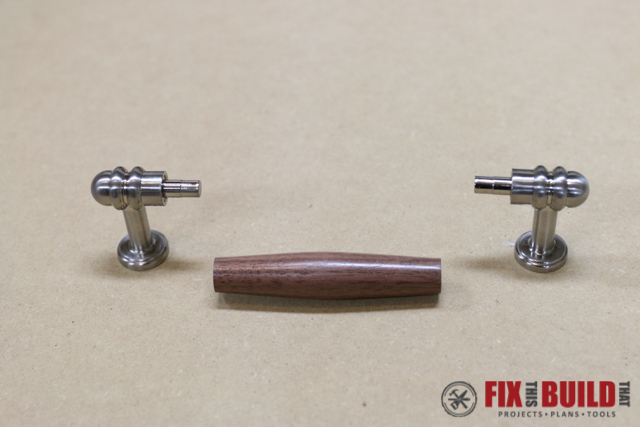 If you haven’t checked out How to make custom wooden knobs or Part 1 of the Sideboard build, then go check those out now!